Do You Need Your Own App For Your Audio Content? In this episode, we discussed everything about having your own app for your audio content and getting your brand and logo on iOS and Android devices. We recognise the great opportunity presented by having apps for your audio whether it’s for podcasting on demand or live streaming radio so we started out by discussing the need to have your own app as opposed to just using apps such as Stitcher, TuneIn Radio and the Apple Podcasts app. Second is that by having you own app you can give added value to your listeners. Izabela explained by citing an example. She mentioned Michael Hyatt of the This Is Your Life Podcast which she listens to regularly as she makes sure not to miss any of its episodes. Izabela said that if the podcast had an app, she would rather listen to it in the app itself so as not to clutter the content with other podcasts. Moreover, it would be like having a specialised app for a specific podcast which can offer more functionality. Izabela and I had some discussions about different features that can be incorporated to your own app which can be considered as added value and for more functionality. We recognise that a basic consideration that you will have to make is why switch to your own app when you have the ability to be heard on other apps? Izabela had an interesting point which may be a good answer to the question. She asked if it is possible to make a different feed for your own app which would be a longer version of the podcast for example, of that which will be played in the iTunes or other apps? Also, it is possible as you can design an app which will pick up the RSS feed of your bonus content which may not be publicly available. However, we also recognise that this may cause confusion to the audience because it is known that you should make your audio content as widely available as possible to get as large an audience as possible. 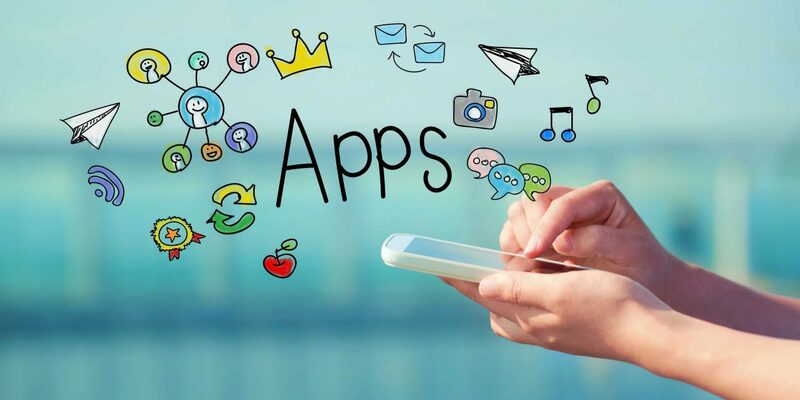 In this regard, I think that having an app is more complimentary to your marketing efforts because you can be discovered in different ways as you can be in the Apple App Store or Google Play Store for example. Izabela asked whether its possible to develop your app wherein you can make in app purchases? I answered in the affirmative, citing LBC which is a radio station based in the UK as an example. They have a specific app called LBC podcasts where you can make in app purchases of their radio shows as podcasts. Izabela shared a great idea to monetise your podcast or internet radio show. We can create an online course which may be available for purchase in-app for your audio content or even a series of videos. It not only provides them audio content which is helpful it can also be purchased with a tap. We discussed that by having your own app you can actually have real estate on your listener’s iPhone or Samsung Galaxy S5 and the visual aspect can be more engaging. Izabela also thought that you can have a mini game developed inside your own podcast! I also mentioned the places where you can get apps for your podcast or internet radio station. You can check out Spreaker, which has an online shop where you can purchase apps specifically for your content, Libsyn, with a monthly plan with an app included, and CodeCanyon which is part of the Envato group of websites. In the CodeCanyon you can get 10 play apps for internet radio like Radio v2 which is only around $17 and has features such as playing music in the background, Facebook and Twitter integration, AirPlay, retina display user interface, notifications centre and support. Speaking from experience of having 2 apps available for the MRC podcast on Apple and Android, I also discussed the benefit of being able to implement Google Analytics in your own app. Google Analytics tells you who your visitors are, how long they’ve been on your website, where they’ve come from, the pages they visited, and actions that they take on your page. This can be available for your app users as well and you can even get information such as downloads, uninstalls and current installs if you’re an Android or Apple developer as well. Izabela noticed that it is paramount to consider the benefits that the listener may get from patronising your app because although it may be beneficial for the producer to have an app, if your listener does not feel the benefit then you won’t be able to distribute the app far and wide. One key thing you have to look into will be push notifications which I believe is the future of live broadcasting because you can broadcast your show to thousands the instant you release it. Your listeners can get push notifications when a new show is released or when there is some important news from your brand. I also mentioned Pat Flynn of Smart Passive Income who just released a fantastic SPI app which comes enabled with push notifications. App.net, which was a paid for social network that’s now free and Push.co are 2 services that I like offering push notifications specifically for podcasters and online broadcasters. I actually made a video about App.net and their push notifications called “broadcasts”. Izabela thought that having more content instead of audio only will place more value in favour of the listener and give them a full podcast experience. We also mentioned that you can make available all of the podcast show notes or just a squeezed version of it, and even a summary of links embedded as resources with links to affiliates where you can get a commission whenever someone buys from the link. Izabela and I mentioned that if you already have a radio group or a network of podcasts or internet radio stations then getting a coder to develop an app for you may be a good thing. Radio groups such as Global Radio and Clear Channel (where they’ve got iHeart Radio) have apps designed for their whole network of stations and you can even get updates and the like from from them. We do have an app that we’ve purchased from the Spreaker online store for Apple and Android. Check them out and give us some feedback about what you think of them but most of all please review the app because it will help it to get more exposure in the App Store or the Google Play store. Also, if you have a feedback on what will encourage you more to be a user of our app on a regular basis we’d love to hear it! 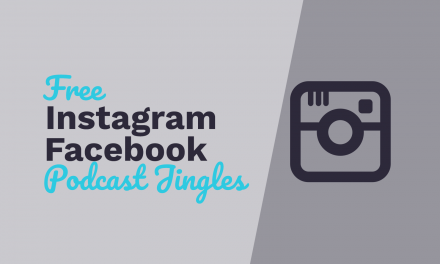 Free Podcast Intro Jingles – Are You Ready to Thrive? Hi Mike, I already have an app so I am entering podcasting as a way to enhance the experience for those that have my app! As I understand it the app will take the feed from iTunes. It’s been a great learning experience developing the app, phase two of which will include the podcast once I get that underway. I’m getting a bit lost on the technologies involved but trusting that experts are on hand to help me through. Thanks Mike and Izabela for your insights.